The Conservatives have a long list of abuses of taxpayers’ money and new revelations show the NDP may be following their footsteps. The NDP are being accused of using Parliament-funded staff to run satellite offices in Montreal, Quebec City and Saskatchewan – where the NDP don’t even hold seats. The NDP used these offices to conduct partisan activities and also used taxpayers’ money to send their own partisan 10-percenters. In response, the Conservatives caught the NDP off guard Thursday morning when 12 MPs weren’t enough to bypass parliamentary procedure which saw a motion passed to drag leader Thomas Mulcair to a committee to answer questions being raised by recent revelations. The NDP argue the satellite offices, notably those in Quebec are for non-partisan research purposes, something that’s hard to believe when the office in Saskatchewan comes into play. House of Commons resources are not allowed to be used for party fundraising or party business, but documents obtained by CTV show the NDP have been using their satellite offices and taxpayer-funded staff for just that. In addition, a number of the NDP’s Quebec riding associations are using these satellite offices as their mailing address. Dufour argued the NDP had approval to run these offices and shot back at the Liberals who initially made the complaint and charged the NDP were being hypocritical considering they complained about former Bloc-Quebecois Leader Gilles Duceppe doing the same thing. The NDP haven’t had an MP in Saskatchewan since 2000 but sure enough Mulcair’s office posted a job offer in Saskatoon for an “outreach” officer to work with MPs outside the capital. In addition, the Liberals sent a complaint earlier this month against the NDP’s letters that were mailed to residents in the Liberal riding of Bourassa at the same time as the by-election that saw Emmanuel Dubourg elected as a Liberal MP. The formal complaint argues the letters should count as part of NDP candidate Stephane Moraille’s campaign expenses. It turns out Bourassa wasn’t the only target of large volume mailings by NDP MPs. The Speaker has sent the information to Chief Electoral officer Marc Mayrand to investigate. The Conservatives, however, have their own list of abuses, including their use of government planes to save party funds, their half a billion dollars in legal costs, a plan to use taxpayer money to send anti-Trudeau 10-percenters, inflated limo costs, a fake lake, gazebos, an instance of $16 orange juice and the list just continues. The Conservatives have been saving money by using government jets to transport Conservative staff across the country for partisan events. An iPolitics analysis finds invoices, obtained through the Access to Information Act, show that while the Conservatives have repaid the Department of National Defence 17 times, or a total of $37,272, for using challenger jets since April 2006, Canadian taxpayers have footed a more than $118,090 bill for the Conservatives’ partisan events. While the Conservatives paid the commercial cost of the planes, the fact they cost between $2,314 and $3,868 per hour to operate wasn’t taken into account. Long-time Conservative fundraiser Mark Kihn is one of the many Conservatives that took advantage of government jets and invoices show he travelled with Harper and his family every year between 2007 and 2012. Kihn paid an average of $260 per flight for 5 Ottawa-Calgary flights and one of the flights were billed to the Conservative Party of Canada. Despite Harper’s relentless attacks on former Liberal Prime Minister Jean Chretien’s use of the plane, Harper tends to use government jets for his personal and partisan affairs, including taking his son to sports events. Harper’s more recent decision regarding the plane, to paint it for $50,000 under his new design drew controversy of its own. Over the years, Harper has only reimbursed taxpayers for $17,193 of his flights, a fraction of their actual costs. 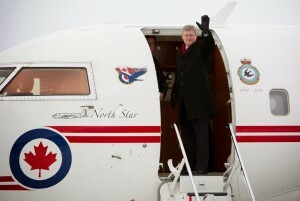 Since his party formed a majority government, Harper nearly tripled his use of his favourite taxpayer-funded jet. 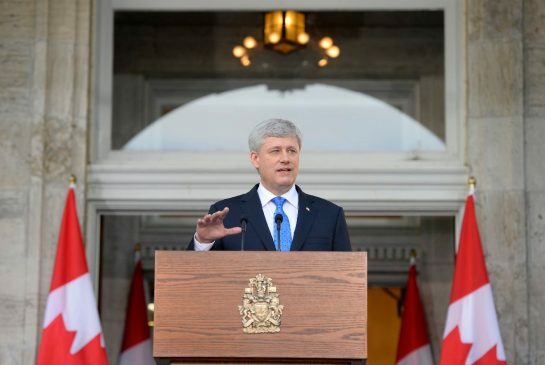 Harper paid $951.39 for his family’s flight to New York in September 2012. Air Canada would have charged him $1,680 and keeping the Challenger in the air for the 2.3-hour run there and back cost taxpayers $8,689. While Lecce says the government reimburses the equivalent of a commercial flight, documents obtained by the Canadian Press in 2007 show the Harper government was quick to slash the cost of reimbursing DND for partisan use of the jets. The initial cost of flying Harper and six staff from Ottawa to Moncton at the time was multiplying 3.1 hours of flying time by $2,139 per hour to operate, leaving a price tag of $6,630.90 but the PMO soon informed DND they would only – and have ever since – reimburse the cost of economy class commercial flights which set the tab at $3,144.18. Documents obtained by The Huffington Post show the Conservatives have raked in half a billion dollars in legal costs to deal with ethics probes or investigations into political interference of ministers or their staff. Since 2006, 2,500 Department of Justice Lawyers were deployed to deal with Conservative legal antics but the cost of outside lawyers stands at $510 million. Liberal Justice Critic Sean Casey charged the costs were inflated for a period of austerity. “Lots of cuts to public servants, cuts to social programs, cuts to EI, cuts to veterans, cuts to railway safety, cuts to health care for retired workers, cuts to infrastructure, but lots of money for legal fees,” he said. Eighteen departments claimed zero expenses and seven refused to comment. Last May, the Conservatives wanted to use taxpayer money to fund a mail blitz of partisan flyers painting Liberal leader Justin Trudeau as “in over his head.” To the surprise of the party brass, Conservative MPs questioned the judgement behind this campaign, condemning it as a waste. More than 20 MPs, including Deputy Leader and now Justice Minister Peter MacKay refused to take part in what would have been a $29,050 partisan campaign paid for by taxpayers across the country. In May 2012 a CTV investigation emptied the parking lots at Parliament Hill showing Conservative MPs were enjoying their expensive and entitled limo perks during a time of austerity and economic turmoil. The average ministerial driver was paid $50,755 plus at least $20,000 in overtime. The list of MPs and their taxpayer funded limo costs can be found here. If the limo costs weren’t enough, how about former Conservative MP Bev Oda’s $16 orange juice? Hosting a controversial and important summit in a big city shows an expensive lack of judgement, but when security funds start translating to $50,000 gazebos and a fake lake several kilometres away from the Great Lakes, you know there’s a problem. To add insult to injury, then-Auditor General Sheila Fraser blasted the Conservatives for misleading Parliament on the expenses. The 2010 G20 summit in Toronto was widely criticized on a number of fronts. The summit, which would only cost $1.2 billion went on to be criticized by France, whose then-President Nicolas Sarkozy was among the critics saying his summit would cost 10 times less than Harper’s. 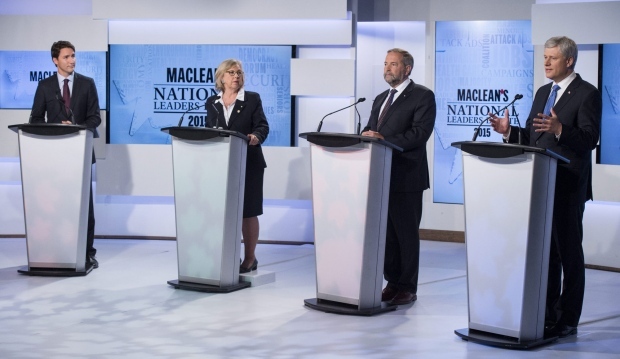 What do you think of the NDP and Conservatives’ abuse of taxpayers’ money? Will they ever be held accountable? NDP staffers and Parliamentary researchers mingle in a Montreal satellite office. 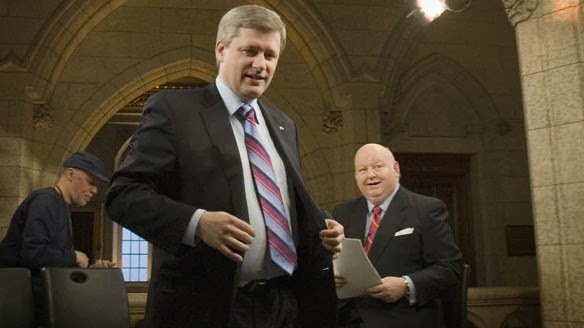 Invoices show while the Conservatives have repaid the Department of National Defence 17 times, or a total of $37,272, for using challenger jets since April 2006, Canadian taxpayers have footed a more than $118,090 bill for the Conservatives' partisan events. While the Conservatives paid the commercial cost of the planes, the fact they cost between $2,314 and $3,868 per hour to operate wasn't taken into account. Since 2006, 2,500 Department of Justice Lawyers were deployed to deal with Conservative legal antics. “Lots of cuts to public servants, cuts to social programs, cuts to EI, cuts to veterans, cuts to railway safety, cuts to health care for retired workers, cuts to infrastructure, but lots of money for legal fees,” Liberal Justice Critic Sean Casey charged. 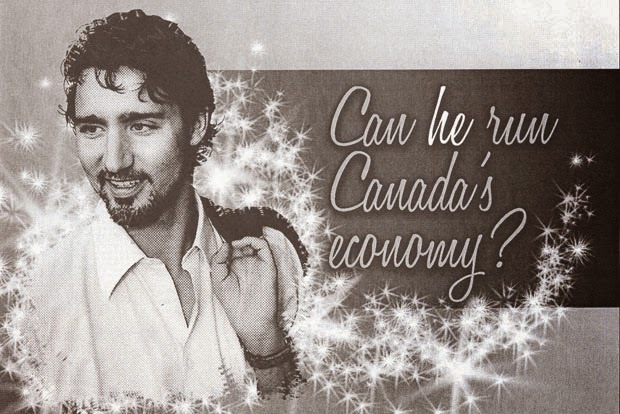 Last May, the Conservatives wanted to use taxpayer money to fund a mail blitz of partisan flyers painting Liberal leader Justin Trudeau as "in over his head." In May 2012 a CTV investigation emptied the parking lots at Parliament Hill showing Conservative MPs were enjoying their expensive and entitled limo perks during a time of austerity and economic turmoil. Hosting a controversial and important 2010 G20 summit in a big city like Toronto shows an expensive lack of judgement, but when security funds start translating to $50,000 gazebos and a fake lake several kilometres away from the Great Lakes, you know there's a problem.